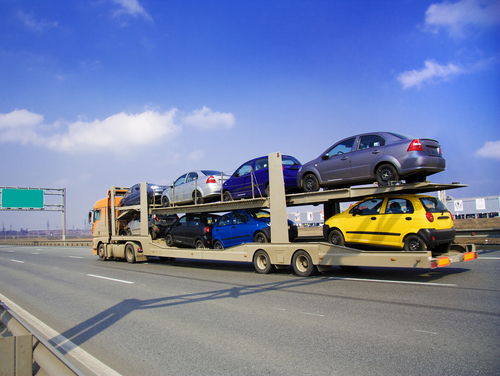 What's the difference between an open carrier auto transport and enclosed auto transport? For starters enclosed auto shipping means your vehicle will be transported in an enclosed auto carrier that allows it to get from pickup to drop-off free of dust, grime and anything else that can be caused by the elements of the road. For a small premium you can request this service and in return your vehicle can enjoy the benefits of traveling safe and protected in a fully enclosed semi truck. Typically people who would prefer to have their racing, customized, classic or exotic vehicles transported will opt for this service but anyone can request enclosed auto shipping. Paying an additional cost may just be a small price to pay to protect your vehicle from weather elements, road debris and any other damage that may be caused by an open car transport environment. Best Price Auto Shipping has selected superior auto transport companies who offer full-service transportation solutions for the transport of your valued vehicle. Our associated auto transport companies are dedicated to the care and delivery of your vehicle and have spent years perfecting safe, reliable, and affordable methods of enclosed car transport. Best Price Auto Shipping feels it’s important for you to know you have the option of an enclosed car transport regardless of what type of vehicle you own. Typically we highly recommend an enclosed auto trailer for certain types of vehicles such as luxury cars, classic cars, sports/racing cars, high value exotic cars, new vehicles and low clearance autos. But if you prefer to have your vehicle shipped in an enclosed carrier we can help you figure out the best way to do it. Simply fill out are auto transport quote form above and in minutes you will be contacted by knowledgeable auto transport companies that have experience and professional handling in shipping enclosed vehicles. The most cost effective standard method of shipping a vehicle is with a Open Carrier Transporter. Most of us have probably seen these trucks on the road, these are the long trailers you often see carrying several vehicles being transported from one place to another, like the image to the right. 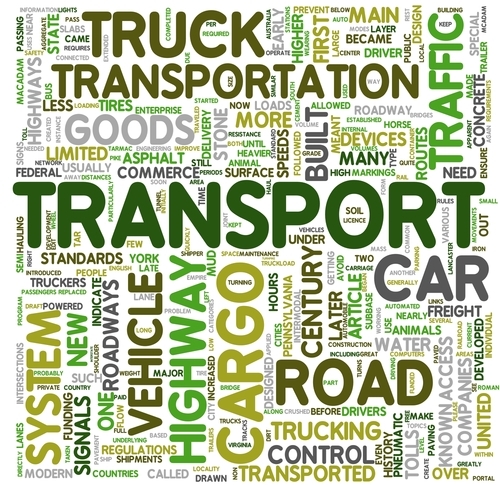 So what is open carrier transportation? This is where the carrier is OPEN so all the vehicles can been seen, and indeed it is open to many other things like the elements of nature and poor road conditions. However even with good roads , weather (bad) , dust ,rain and other unforeseen events like flying stones thrown by other cars damage can occur, although this is considered rare. Open carrier auto transport is considered the standard shipping method; over 90% of cars are transported this way as opposed to enclosed carrier transport, where the vehicle is protected against all external elements. Why do so many go for open carriers? First because it's the standard way of doing it and more importantly it is less expensive. Typically shipping your car with an open carrier is $300-$400 less than enclosed auto shipping, it makes more economic sense to ship on an open carrier. In many instances, vehicles get to their destinations with minimal damage or none at all despite the obvious disadvantage of being open to the elements. So how does this method compare to a enclosed carrier transport? Open carrier transporters typically have a capacity of ten standard-sized cars. Unless you request otherwise, this is what your vehicle will be shipped. Open carriers are more affordable than their enclosed counterparts because there are so many more of them. It is ten times easier to find an open carrier than an enclosed carrier, because enclosed carriers do not have many cars to haul. An enclosed carrier can carry only two-four vehicles at a time, and because their services offer more protection, it comes at a much higher price (typically 75-100% more than an open transporter). However, if you are shipping a classic car or a high-end luxury vehicle, it is a better bet to ask for enclosed shipping if your vehicle is just a regular sedan, its much cheaper to go with an open transport. It is much more cost-effective to ship on an open carrier and damage to transport vehicles on an open carrier is rare. We encourage to fill out the quote form above, and compare your auto transport quote rates with open and enclosed, and then make the decision if shipping enclosed it worth it to you. At Best Price Auto Shipping we value each and every one of our customers. We make every effort to make sure that your auto transportation needs are met. Whether it's filling out our quick and free online quote form, or speaking to our customer service representatives via phone or live chat, we try to ensure our customers are given the knowledge and best rates to make an informed decision about shipping their vehicles. To find out what makes our customers so happy, simply take a few seconds to fill out our quick and free quote form and see for yourself just how stress-free car transporting a vehicle can be. Feel free to read some of our auto transport reviews below. 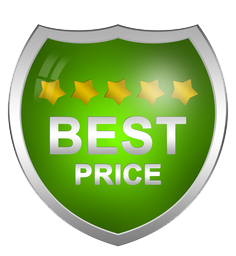 "Best Price Auto Shipping- Simply the BEST"
"Best Price & Best Service"
Standard Car Shipping: This is the most common method for moving your car. Your vehicle is normally picked up within 1-7 days, fully insured, door-to-door service. Expedited Car Shipping: With enclosed shipping your vehicle is usually picked up within 1-3 days, fully insured,door-to-door service. Recommended for customers who need to have a rush auto shipping. Open Carrier Transport: For customers who's vehicle is considered "normal", everyday auto that gets around town easily. An open carrier auto transport method is the most common, most affordable car shipping service. This is less expensive than using an enclosed truck, while still offering the protection of professional loading and truck transport. Open truck transporters are the ones most frequently seen on the highway. Enclosed Auto Transport: With enclosed shipping your vehicle is usually picked up within 1-7 days, using a covered truck, fully insured,door-to-door service. Recommended for classic cars, sports cars, and valuable vehicles you do not want to expose to the outside elements of mother nature. Individuals who own luxury and classic cars should know that this method of transport is slightly more expensive, but well worth the peace of mind which accompanies it. Flat Bed Transport: This method of auto transport relies on a truck with a flat bed, which the car is secured to during transport. It is not recommended for classic cars or luxury cars, as it leaves the car exposed to the elements. This is a great way to transport older cars and less expensive cars, which are still fully covered by the auto shipping company’s insurance. To find qualified auto transporters in your area who can provide detailed recommendations and quotes for your situation, fill out the short auto transport quote form above, and get rolling today with Best Price Auto Shipping! We all know that you shouldn't drive your car without the right insurance, but what we might not consider is how important it can be to have the right insurance when transporting your vehicle. When your automobile is loaded onto the transport truck there can be uncertainties that lay in the road ahead and if you haven't double checked with your auto shipping company's policies, you could be left footing the bill for scratches, dents or worse. Most Auto Transport companies carry the insurance required to cover any damage that may occur during transport (and in the majority of cases, transported cars arrive at their destination in excellent condition). However, as with any kind of insurance, there can be lots of stipulations. At Best Price Auto Shipping our associated companies are all fully licensed bonded and insured but for added peace of mind we provided you with a few brief recommendations. Before you decide on which auto shipping company to use, ask the companies you're interested in for their insurance certificate. They're all required by law to have one. Don't be afraid to ask questions about their policies as well. Like “Will my car be covered for any damage that occurs during shipping?” Or “Will I be required to pay a deductible?” Be sure to have any promises or assurances out in writing by the auto transport company. It is also a good idea to call your auto insurance company or agent and check into the specifics of what your insurance will cover during transport. 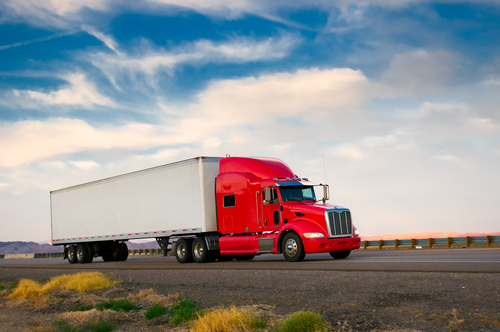 Make sure to ask if the coverage the same while the automobile's being shipped and if you have to provide the company with any prior notification to the vehicle being transported. Prior to handing over your keys to the auto transport company, be sure to empty your car of any and all personal belongings. There are a number of reasons for this: First, most transport companies' insurance will not cover any personal objects in the car, should they end up damaged. Second, the any objects inside the car could potentially move around and damage the interior. Chances are neither kind of damage will be covered by the auto transporter's insurance. 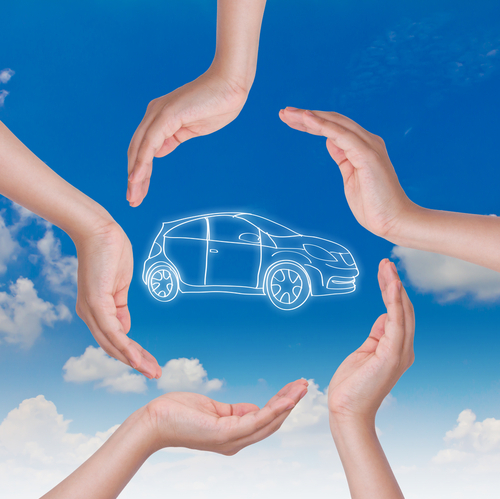 Making sure your car is fully protected with insurance can be a tedious process, but there's no substitute for making sure your auto transport insurance is set up correctly. To get the process started, fill out our quote form above for 10 free auto transport quotes from fully licensed bonded and insured auto transport companies.